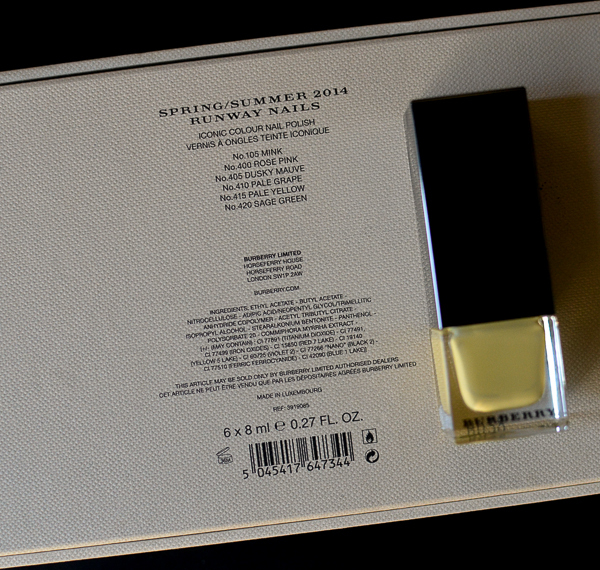 I bought this nail color as part of the Spring/Summer 2014 Runway nail collection set, but the colors are all available now as part of the Burberry's spring 2014 makeup collection. 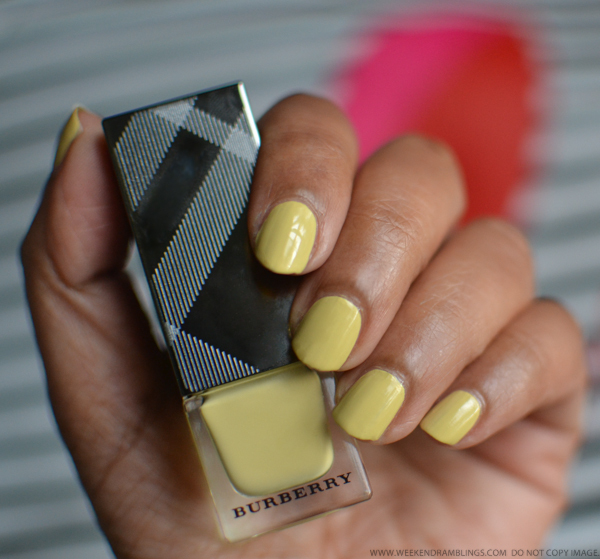 As the name suggests, Pale Yellow is just that - a subdued pastel yellow that, in the typical Burberry style, is one of the most wearable yellow nail colors I have seen. 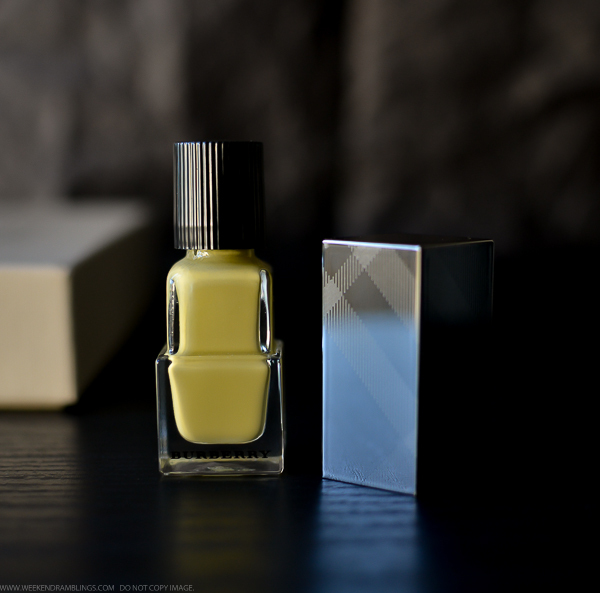 The bottle has the lovely Burberry plaid pattern on the long metallic cap, but once the cover comes off, the bottle does look a bit odd, imo. The brush is fabulous - flat and fans out beautifully - making smooth application a breeze. I amn't a huge fan of bright pastel shades - irrespective of the time of the year - but Burberry's Pale Yellow is definitely an exception. 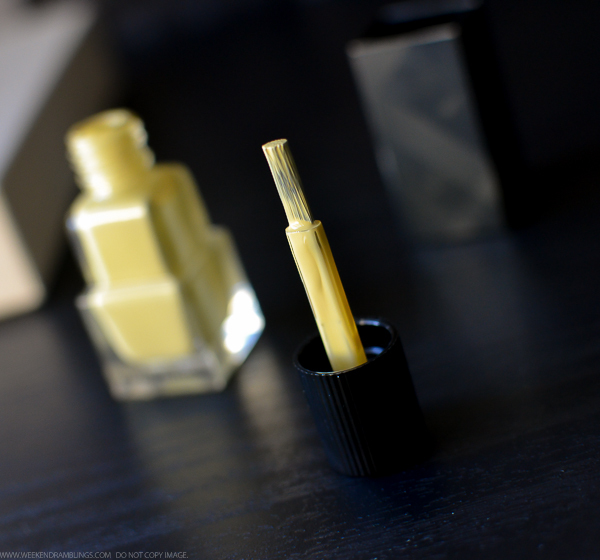 It's a creamy soft yellow that stops short of being neonish bright. I know it's a bit of a personal preference, but I think this sort of a subdued color is much more flattering on my hands. 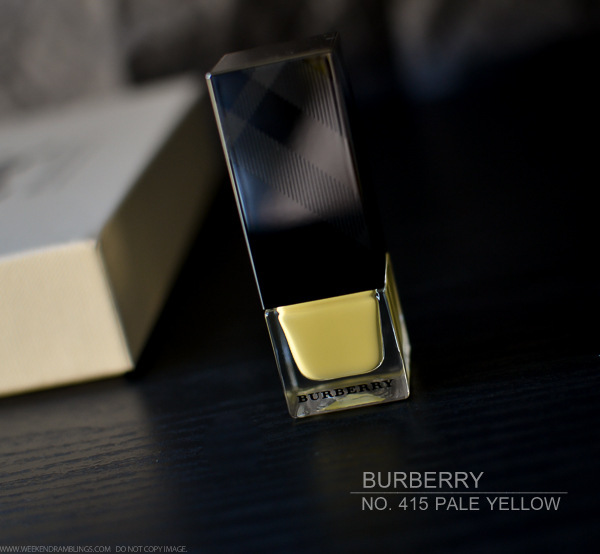 So far, I have found the Burberry nail polish formula quite impressive (Oxblood was the only terrible disappointment), and Pale Yellow has the same easy-to-apply, quick-drying formula that I love. It goes on opaque even with a single coat, but I amn't very good with the application and found it better to use 2 coats. It dries pretty fast to touch, but I would recommend waiting a good while before doing something like typing or rummaging about in a bag to avoid getting marks. 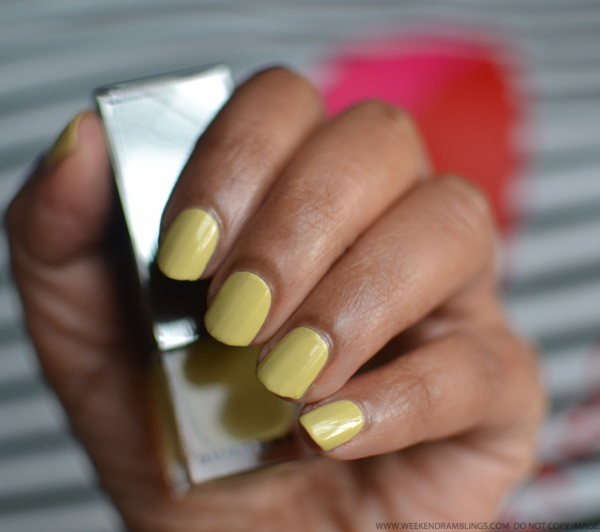 Always scared of using yellows makes me want this seeing your pictures and this shade looks very wearable kinds!